Two of the character’s in Anna’s Secret Legacy meet at the prestigious thoroughbred Fasig Tipton sale in Saratoga. 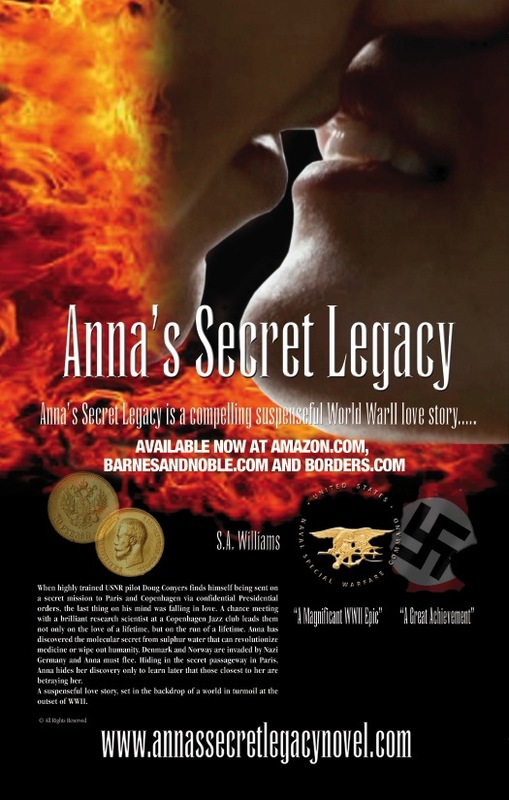 Following in her characters footsteps, S.A. Williams will be making an appearence in Saratoga during the Travers Race week for an Anna’s Secret Legacy book signing. This entry was posted in Anna's Secret Legacy, Book Signing, Pressroom and events, Saratoga, Uncategorized and tagged Molecular Secret, Saratoga. Bookmark the permalink.